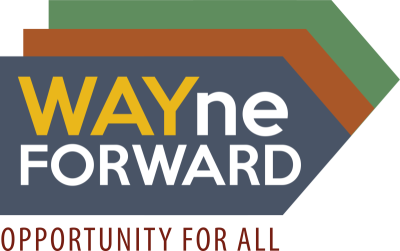 This is WAYne Forward's one-year progress report and list of initial recommendations, focusing on the four community-identified areas of education, workforce development, health and affordable housing. Goldsboro, a mid-sized city in Wayne County in eastern North Carolina, faces poverty challenges both historical and contemporary that are too commonly seen across much of the region. Traditionally divided along black and white racial lines, the city is in the process of being transformed by demographic changes, even as it wrestles with the consequences of two recent recessions and the economic transitions that swept the state in the early 2000s. Stalled upward economic mobility is persistent across North Carolina, not only in pockets of rural poverty but in the most dynamic urban areas.The imperative is clear: we need to build an infrastructure of opportunity to ensure all our citizens have a clear path to family-supporting work, that employers have the workforce they need to grow and innovate, and that our civic culture is one that supports prosperity for all. An infographic on the shared vision for our communities that ensures every person and neighborhood has the opportunity to prosper! From the NC Budget and Tax Center this snapshot provides a look at how well Wayne County is faring across key indicators of economic well-being and opportunity.